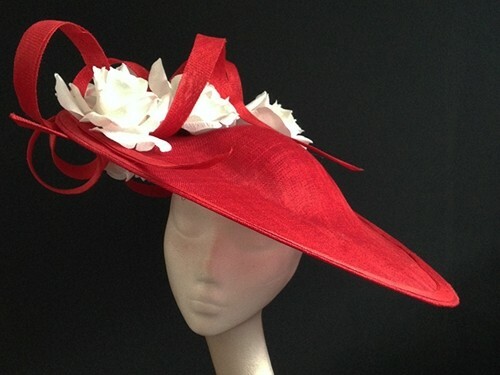 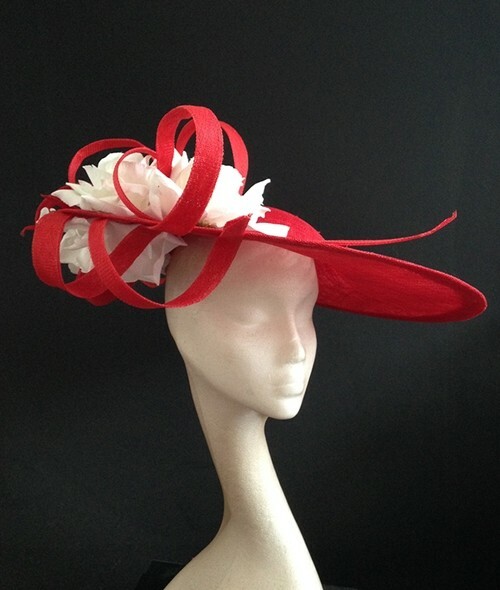 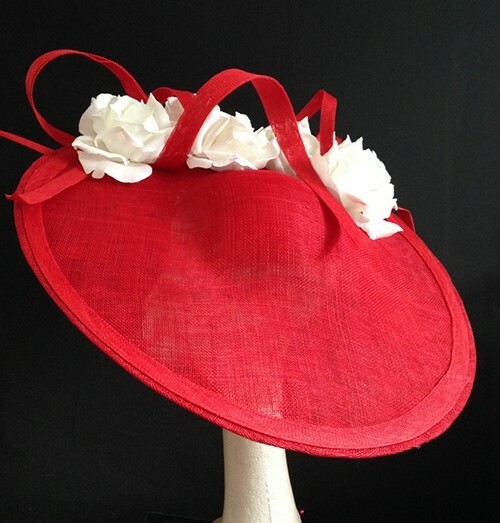 Couture by Beth Hirst Red and White Large Saucer from Ascot Hats 4U. 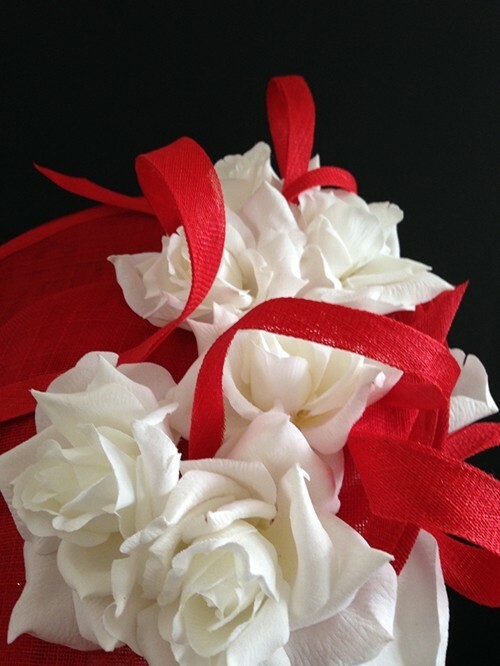 Bright red 19inch sinamay saucer, with bright white silk roses and red sinamay loops. 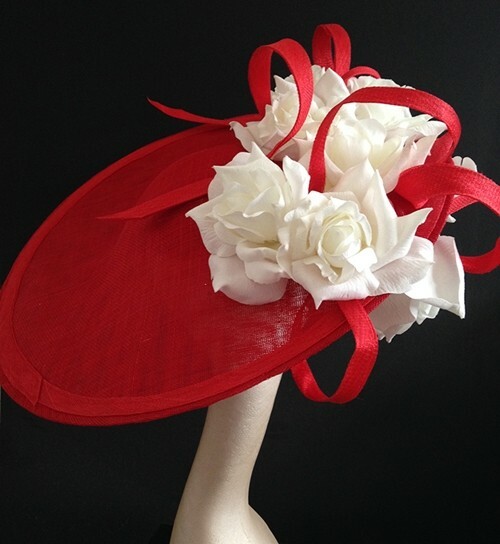 Fantastic statement piece by our talented Milliner, Beth Hirst. 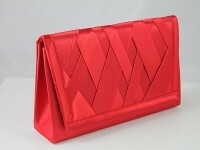 Hand blocked shape. 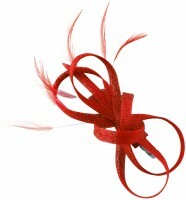 Sits almost on top of the head with the detail being to the right hand side of the headpiece, mounted on a thin 3mm silver headband with a comb for added security - or can be a comb and hat elastic if you prefer. 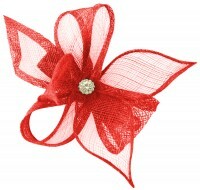 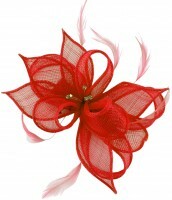 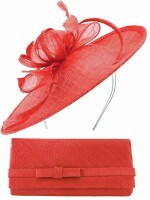 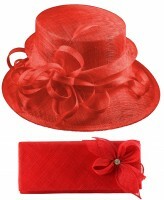 Great for the races or a wedding.